Height when Fully Grown: 6 to 10 feet. Bauhinia variegata ( Kachnar )Bauhinia variegata or purpuria/ Kanchnar (Hindi, Punjabi, Urdu)/ Kanchan (Bengali)/ Raktakanchanara, Kovidara (Sanscrit names)/ Orchid tree/ Camel's Foot Tree/ Mountain ebony. 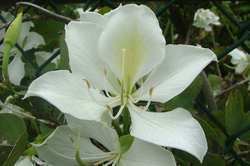 ... Bauhinia variegata (Leguminosae) commonly known as Kachnar, is widely used in Ayurveda as tonic to the liver. Kachnar, Camel's Foot Tree (Bauhinia Variegata) is deciduous tree of small to medium sized height up to 15mt with spreading crown and a short bole. It belongs to the Fabaceae - Caesalpinioideae family.Kanchanara is a famous Ayurveda herb. Its fame comes from being an important ingredient of Kanchnar Guggul, an Ayurvedic tablet. Since we have incepted in this industry arena, we have been instrumental in the realm of presenting to our customers Bauhinia Variegata Tree. 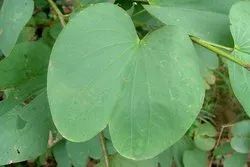 Bauhinia Variegata Plant is also known as Kachnar plant. This Bauhinia Variegata Plant is a shadow plant, used for providing shadows. Usually, Bauhinia Variegata Plant is used at the sides of the road, hospitals, hotels, homes and several other places. Common Name : Orchid, Yellow Bell, Yellow Bauhinia, Bosbeesklou, Geelbeesklou, Isithibathibana, St Thomas Tree. Habitat : Cultivated in manila and in other towns.